One of the hot topics in computer upgrades for the next couple of years is going to be the move to DDR4. Intel has already announced that the Haswell-E / X99 platform will be based on DDR4, and we can only assume that other future platforms will use it as well. The shift from DDR3 to DDR4 is a the big jump for DRAM manufacturers as well, shifting gears to the new product and maintaining stocks of both for the meantime. 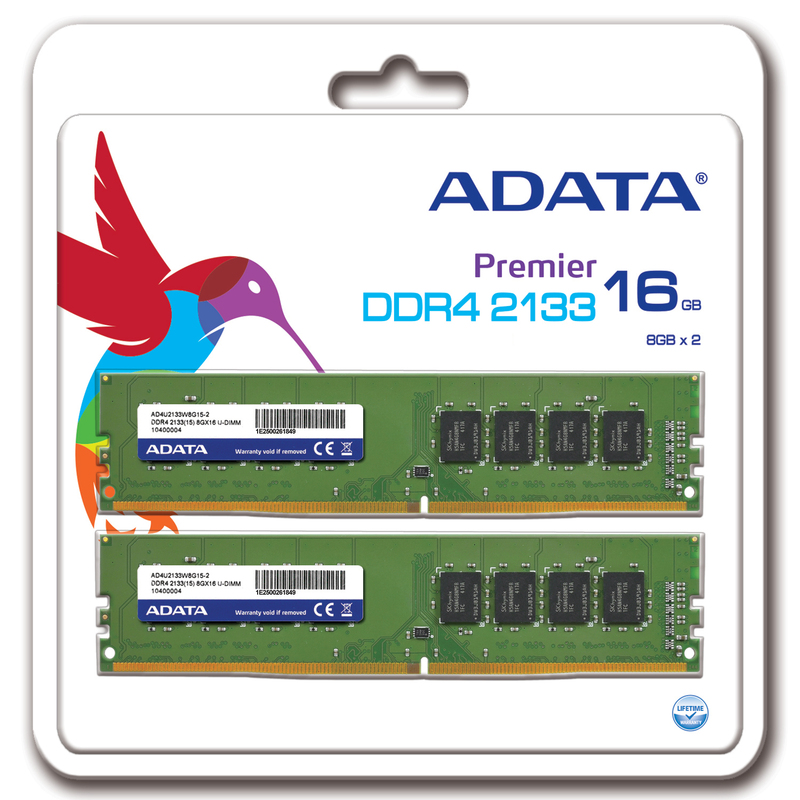 ADATA is one of the first to officially launch their consumer memory, their Premier line of DDR4. JEDEC specifications have the DDR4 base frequency at 2133 MHz with sub-timing latencies of 15-15-15 at 1.2 volts. This is where ADATA will be positioning their first DDR4 modules in the market, and we can assume that others will as well until higher frequency parts are binned. Compare this to the rate of DDR3-2133, which is often at 10-12-12 timings or similar, but uses 1.65 volts, and typically comes with heatsinks. Because we are far from the launch of a consumer platform for DDR4, as one might expect this comes across more as a paper launch. ADATA in the past typically publishes a PR about new memory about two weeks before it goes on the market, and I am asking about pricing which was not mentioned. Given the pictures we received with the modules, it would seem that 4GB and 8GB modules will be first to market for DDR4 unless another DRAM manufacturer has something up its sleeve. "One of the hot topics in computer upgrades for the next couple of years is going to be the move from DDR4. " "Does this even affect real world performance for a normal person (as in not for work related activities)? I've never been able to detect much difference in a gaming scenario."